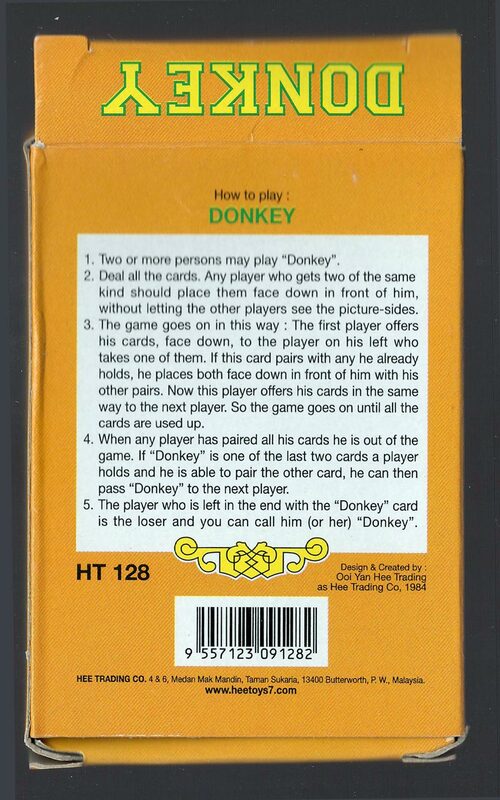 “Donkey” children's card game designed and created by Ooi Yan Hee, manufactured by Hee Trading Co., Malaysia, 1984. The designs appear to have been inspired by the earlier game published by Tower Press product no.5863 but with some modifications, including pastel coloured backgrounds. For example, the Pigs were probably replaced because of religious/cultural sensibilities. Malaysia is a country populated with many Muslims, who consider the animal unholy. Likewise, the milk churns were probably replaced due to unfamiliarity with them in this context. There are 2 donkeys in the deck. I think the maker expected the player to throw one out before play. 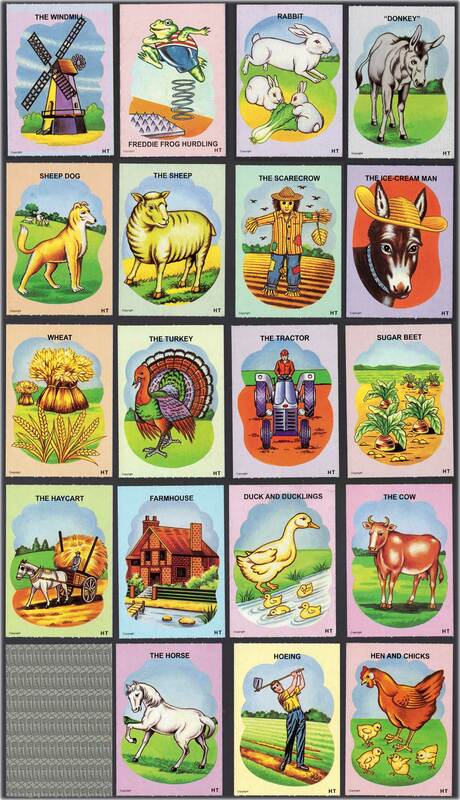 Above: “Donkey” children's card game designed and created by Ooi Yan Hee, manufactured by Hee Trading Co., Malaysia, 1984. Images courtesy Anthony Lee.